Mohamed Saeed’s research discovered that the common soil-dwelling fungus, Beauveria bassiana, is an effective biocontrol agent against the maize weevil insect pest. Maize is the most widely grown grain variety in the world, according to the United Nations Food and Agriculture Organization. It is a vital staple food for primarily lower income groups, especially in Africa, and is grown on both a subsistence and large commercial scale. Pests therefore pose a serious threat to food security. Mohamed Saeed, a doctoral candidate at the University of KwaZulu-Natal, has conducted research revealing that global post-harvest grain losses in quantity and quality due to insect and pest damage average 10% to 20% of potential yield. Common pests include weevils, moths, and beetles. “In Africa, losses of stored grains due to insect pests average 10% to 20% for commercial farmers who commonly utilise insecticides. 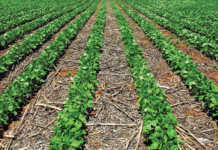 But cash-strapped small-scale farmers, who can’t afford these and modern grain storage facilities, can lose 40% to 70% of their grain harvests during the out-of-season storage period,” he says. Grain losses in Africa during the storage period can range from 10% to 90%. Exacerbating the problem are the potentially deadly mycotoxins produced by fungi, or moulds, that infect the insect-damaged stored grains. One of the most significant African stored grain insect pests is the maize weevil (Sitophilus zeamais). Its life cycle begins with the female chewing holes in the grain, then laying a single egg in each hole and sealing the hole with a plug of mucus. “A maize weevil female can lay about 400 eggs in an eight-month period,” Saeed explains. 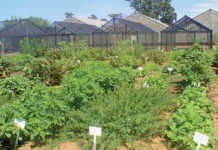 Saeed read reports of scientists isolating and then using the ubiquitous soil-dwelling fungus, Beauveria bassiana, as a biological pest and insect control method. B. bassiana produces conidia, powdery spores that parasitise a variety of arthropod species. These spores germinate inside the insect, ultimately killing it. A mould then develops on the cadaver and fresh conidia are produced. These spread to other arthropods, and the life cycle continues. Saeed was intrigued by the potential of using B. bassiana to tackle maize weevils in grain storage facilities, in particular, for small-scale African farmers. “I began by isolating 25 B. bassiana strains from wax moth specimens,” Saeed explains. The kaolin increases the efficacy of the B. bassiana at killing maize weevils by preventing the conidia from clumping during formulation and application. It also scours away the adult maize weevils’ protective epidermal wax. Conidia can then infect the insects. Saeed introduced his formulation into 15 boxes of weevil-infected stored grain. Each box contained 5kg of grain and 25 unsexed adult maize weevils. The first of a series of three boxes did not receive the B. bassiana strain formulation; the second received 1g of the formulation per kilogram of maize grain; the third series received a 2g formulation/ kg maize grain; the fourth, a 3g formulation/kg maize grain; and the fifth, a 4g formulation/kg maize grain. 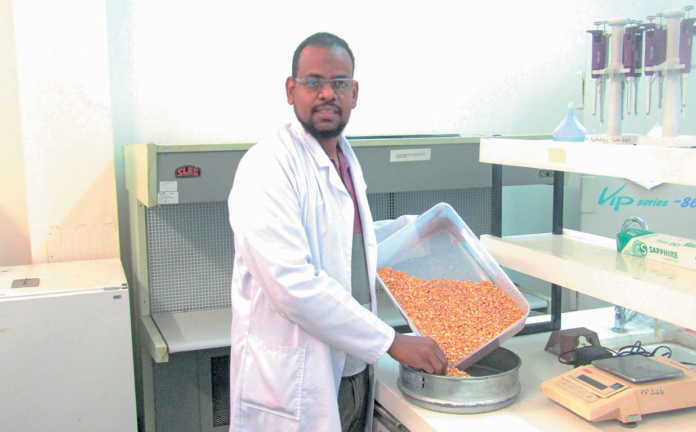 Over a six-month period, Saeed analysed the relative damage caused by the maize weevils to the treated and untreated stored maize grain samples. The final data revealed that the untreated samples showed 51% grain weight loss while the four B. bassiana-treated series of samples averaged only 6% grain weight loss. Saeed counted an average of 340 maize weevils/500g maize grain not treated with the B. bassiana and kaolin formulation. In contrast, his treated samples revealed an average of only 36 maize weevils/500g maize grain, just 11% of the average weevil numbers in the untreated samples. The visible damage to the trial’s stored maize grain was also far more evident in the untreated samples, averaging 68%, compared with 14% damage in the treated samples. 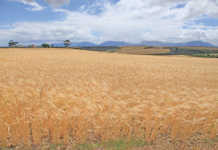 “High levels of grain damage facilitate secondary attacks of the grain by moulds that release mycotoxins into the grain. This can lead to liver poisoning and liver cancer in people and animals that eat this damaged grain. Analysis of maize weevil-damaged samples in the field regularly reveal the presence of both Fusarium fungi and the Aspergillus flavus fungus. A polyphagous insect pest, B. bassiana targets many foods, including maize, wheat and rice grain, rice noodles, and wheat pasta. Saeed suggests that future research based on his trial should include developing packaging and distribution systems for his formulation aimed primarily at cash-strapped small-scale farmers in Africa’s rural areas. These could also be developed for large-scale grain storage and handling facilities to minimise losses from maize weevils. Information provided at Mohamed Saeed’s presentation at the 2017 Ukulinga Howard Davis Memorial Symposium, May 2017, Pietermaritzburg, KwaZulu-Natal. Email Mohamed Saeed at [email protected].